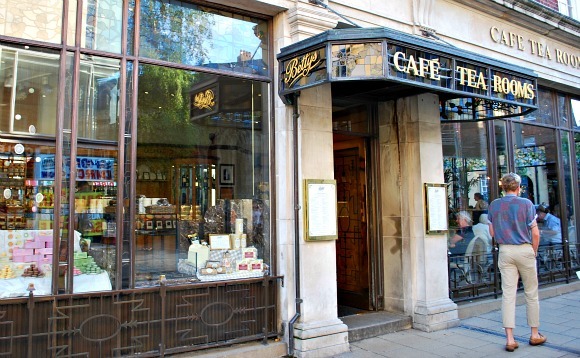 The York branch of this famous Yorkshire name in tea shops has become the flagship branch and was particularly famous during World War 2 for the bar which was located downstairs. Both upstairs and downstairs are now places to enjoy the best that Betty’s has to offer and the best example is the traditional Afternoon Tea of sandwiches, cakes and scones. If you want to eat here, there’s normally a queue to be seated and at busy times you can wait a while, but it’s worth it as this is one of those life experiences you’ll want to say you had! Betty’s also has a cake and bread shop inside if you’d prefer to take away. 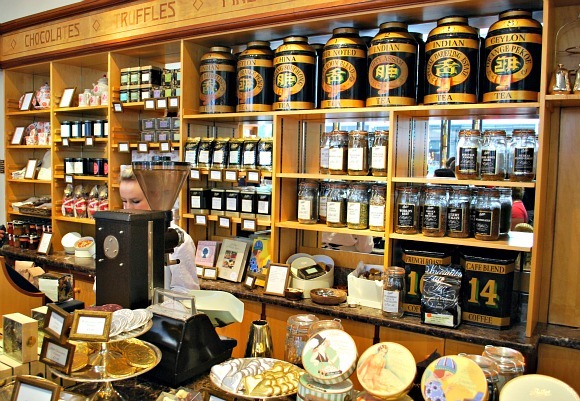 Again, you can expect to queue to be served in the shop at busy times and be careful, it’s very easy to spend a fortune in there! This is an extract from our free York City Guide. On our visit to Betty’s we had to join the queue outside and wait for it to move along. It does move surprisingly quickly and from standing on the street to being seated took us around half an hour. However, we were happy to sit downstairs and the wait is longer if you insist on sitting in the ground floor cafe. There’s no doubt that the food in Betty’s is great quality but it’s one of those places where you have to say to yourself , not to dwell on the prices and simply to enjoy the experience. Food available ranges from breakfasts and light meals to full main courses, or of course you can just pop in simply for tea. Queueing is necessary because Betty’s does not take reservations in the café. However, it’s worth knowing that it does take reservations for Afternoon Tea in the Belmont Room every Saturday and Sunday from 12.30pm. 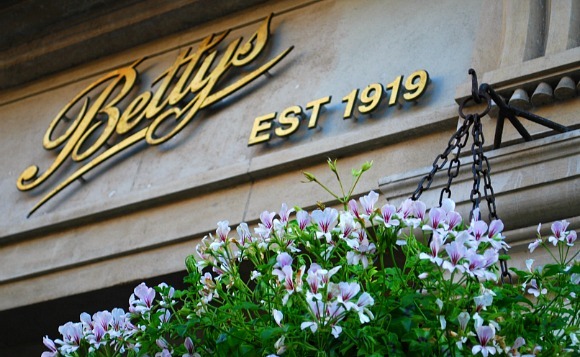 A such if you want to go as part of a weekend away, you can ensure you include a visit to Betty’s without the wait. The Belmont Room in York is inspired by the Art Deco state rooms on the Queen Mary. This is because the founder of Betty’s, Frederick Belmont, was lucky enough to be on the maiden voyage of the ship and he was so enthralled by its splendour that he commissioned the Queen Mary’s designers and craftsmen to model his new branch. Booking ahead for Afternoon Tea costs around £26 but is more like £33 if you add a glass of champagne (2012 prices). Betty’s is open every day from 9am to 9pm.